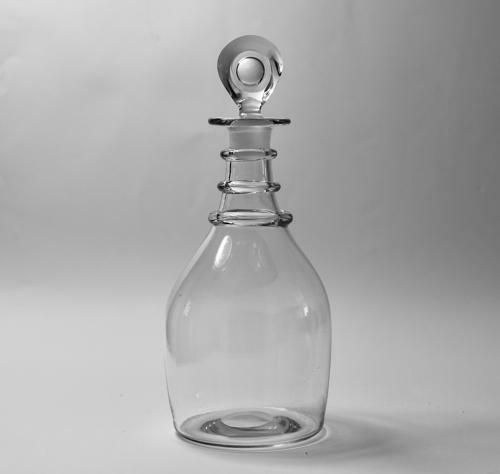 Plain decanter with three neck rings and bullseye stopper. English C1820. Condition: Very good. Light surface wear commensurate with age and minor restoration to stopper. Note: This will easily take a 75cl bottle of wine.